David Cameron’s assertion that multi-culturalism has failed was tough for Imran Yusuf to take. After all, Kenyan-born, American-schooled cockney Yusuf is arguably symbolic of its success. 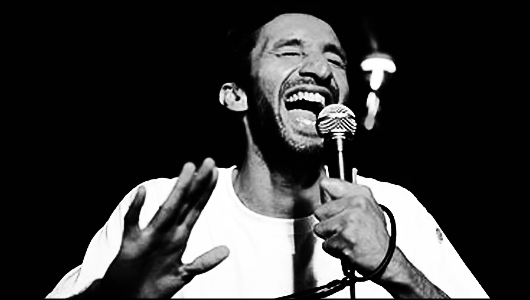 Last year his free show, An Audience With Imran Yusuf charmed reviewers into dishing out five star reviews and he was nominated for the Best Newcomer award, too. So a year on, does he deliver another stellar performance? Well, no. Like many comics at the Fringe, Yusuf looks for a life-affirming narrative for Bring The Thunder. For Yusuf, his multi-cultural background makes him an outsider, so this year’s show is about accepting who you are. Which is odd, as he constantly leans towards the cliché. Bigoted jokes about the Middle East, about Indians working in corner shops, terrorists, homosexuals, women – they’re all here, but the ‘irony blanket’ means they’re okay…right? In spite of that, there are good routines here, like his shtick about games designers which opened up some decent audience interaction – though again he manages to dampen the mood by insulting the woman in the front row more than necessary. Yusuf can be a slick performer (and he certainly knows how to tell a joke) but his material is where this show goes wrong. It’s just too contentious. The audience don’t know when they’re supposed to laugh – which in his defence he addresses – and, thanks to his overuse of irony, you don’t ever find out who Imran Yusuf really is. Date of live review: Saturday 13th August 2011.